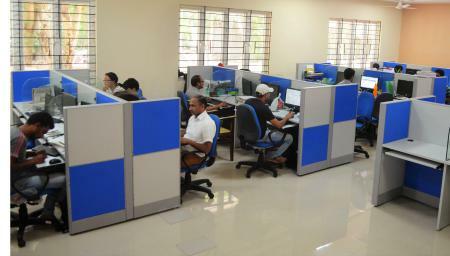 All the Computer Labs of Bioinformatics Centre at Pondicherry University are well furnished with modular workstations cabins and Centralized VRF Air Conditioning facility. Computers in the labs are accessible by the students and research scholars round the clock, and are connected with HPC servers, License servers and other resources made available in the Centre. All the desktop computers are connected to the Internet service of 240Mbps leased line connectivity provided by the University. Desktop Systems in the labs are running on both Windows and Linux platforms, and are ranging from Intel Core i5 to Core 2 dual processors @ minimum of 2Ghz speed. Systems are installed with 4GB of memory module and min of 160Gb to 320GB storage capacity and with LCD display ranging from 15" to 18.5". 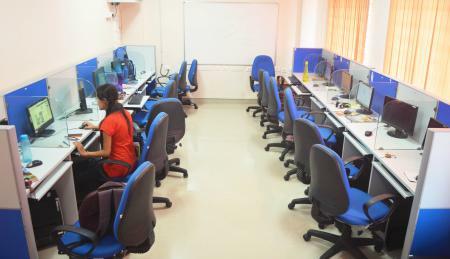 There is a separate computer lab of capacity 50nos for Research scholars to have a dedicated desktop machine for their research and separate lab for M. Sc and M. Tech Programs with capacity of 50 and 25 nos receptively.